"LISTEN TO THE KIDS BRO." Kanye West took the stage last night, to accept MTV's Video Vanguard Award at the VMA's. 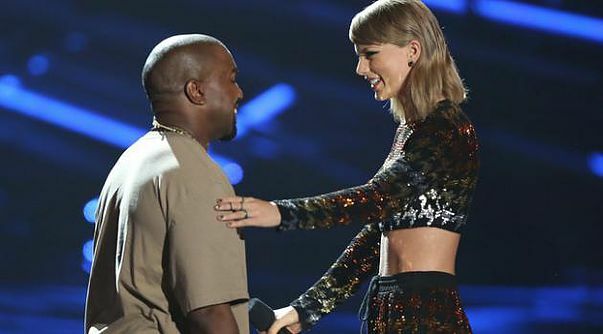 It was rather ironic that Taylor Swift presented the award to Mr. West after having her moment taken away from her during an acceptance speech six years ago. As we all know, the most groundbreaking moments in television equal higher ratings. However, the "All Day," 38 year old mogul, isn't afraid to challenge or question anyone. "Do you know how many times they announced that Taylor Swift was going to give me that award 'cause it got them more ratings?" Kanye questioned. The College Dropout isn't sitting class anymore, so it's okay for him to be the voice of society. "I don't understand it bruh." Kanye stated. "I don't know what I'm finna lose after this. It don't matter, though; Its not about me. It's about ideas. New ideas. People with ideas. People who believe in truth," West said. "And yes, as you probably could've guessed, by this moment, I have decided in 2020 to run for president." Listen. To all of the creatives out there, take 13 minutes and four seconds out of your day to digest what this man (Kanye West) had to say for humanity. Aside from all of the performances last night at the VMA's (and Nicki Minaj's aggressive response to Miley Cyrus), take this moment in history and cherish it forever. This was not a speech. It's a blueprint for the average person that wants to be a "glitch in the matrix" that we all live in. Pay very close attention to these words. And cheers to whoever gave Yeezus the best sativa. Talks, tales, trust with our toys, just like the movie ‘Ted’!